Bulawayo24 NEWS | ULoyiko: prophecy or protest theatre? ULoyiko: prophecy or protest theatre? Yesterday, 29th October 2017 will go down in history as a day ULoyiko play gained international acclaim. 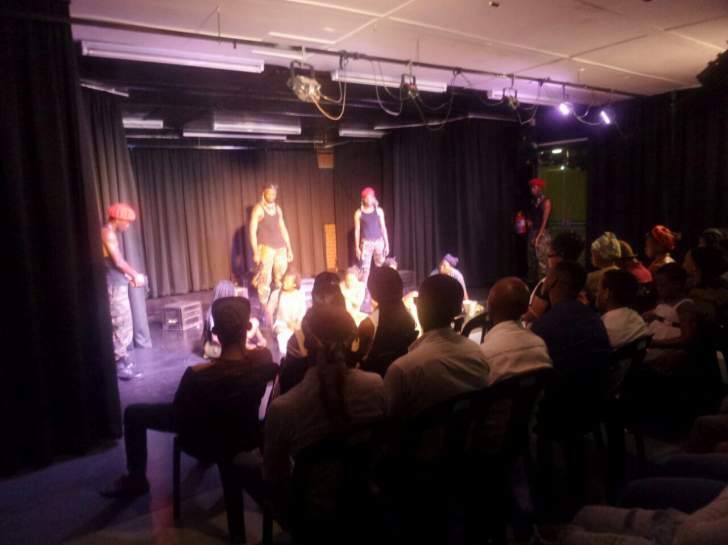 The Black Box theatre in Capetown was full to the bream, a number of people had to return back disappointed. "Tonight the support was overwhelming, we have had big crowds before but this is simply the biggest to date" enthused Mr Yanga Mhluzi. "Our media blizt seems to have paid off and South Africans are beginning to understand ULoyiko story" continued Mr Mhluzi. ULoyiko is a theatre play which narrates the painful story of genocide which happened in Matabeleland between the years 1983 to 1987. Actually, this is a mischaracterisation because the genocide continued unrelenting until today, the genocide only morphed into different form, such cultural genocide, denying of life opportunities of the Matabeleland people for the mere reason that they are Ndebeles. After the play the members of the audience were asked by Prosper Siza Nkosi about what they thought of the play, most of them pointed out that the play was great, they said that they were very emotional and actually cried. "What is your view of the play?" Mr Nkosi asked a member of the public who had just watched it, the response was profound; "yesterday I saw your advert calling your play a protest theatre, I told myself as a South African I am tired of protest, however, after watching your play I have come to the conclusion that the play is not only a protest play but also a prophecy, South Africans should take heed" a member of the public responded. He went on to commend ULoyiko for the subject matter which is tackling and termed it a very strong subject matter and a very good story. "We have heard of the brutality of the gukurahundi genocide, but today you transported me right into the slaughter theatre, I cried like a child" a woman who was part of the audience said. The other woman who sounded like a teenager proposed that the South African government should with immediate effect engage the Zimbabwean government on the issue of the genocide. Mr Mhluzi stated that when they started the play last year uptake was low, however, those who had attended had given then a glowing feedback and this kept them hopeful and going. H said that he was not surprised by a huge attendance yesterday as the feedback had already pointed to the potentiality of the play.